There are few things more frustrating than an IT failure. Especially when you discover that your IT partner has let you down and they can't restore your data. Losing even one hour’s worth of data can be a disaster for a dental practice, but with the right backup precautions, you can rest assured that your information is protected. Once your data is safely locked away in our NHS compliant storage system, we actively monitor your backups, 365 days a year. And, by using remote software, we can detect any issues and fix any glitches before they become a problem. Should the worst happen, and we do need to restore your data, our resilient processes get you back up and running in no time. With the help of Gigasoft backup software, we continuously back up files on a live system. 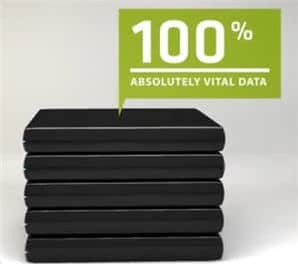 This means we can restore your data for up to 60 days after it is first stored. We can even back up files from multiple machines, so you’ll never lose a file ever again. To discuss your data storage or backup challenges, or for a quick chat to find how we can help, contact us and say hello.